Life is sports and sports is life. While most of us will never be competing under the bright lights of the biggest arenas, we have imaged ourselves there. Most boys have thought about being in the batter's box, bottom of the 9th, two outs and full count. Game 7 of the World Series, your team is down by 1 and there is 1 man aboard. The eyes of the nation are on you. Here's the windup, and the pitch... seeing the ball come out of the pitcher's hand, picking up the stitching, tightening your grip and letting your bat fly... and hearing that sweet sound, followed by the roar as the ball gets over the center field wall... I am 40 years old and I can see this moment vividly now. And I didn't even learn about baseball until I was 14 for I came from a place where the baseball was as foreign as McDonalds. My game and my dream was tennis. Ever since I was a kid I had a racquet in my hands. The court was my home, my therapist, my place of worship. I thought it was going to be my career. I had potential and a 120 mph serve. But that only gets you so far. To be a professional you need to treat your body professionally, you need to have coaches, you need to make the sport your life and I didn't. First went the wrist, followed by the knee and the back. And then I quit and hadn't played the game for a decade. A part of me was missing until a few years ago I went on the court again and my long lost love had found its spark. And even though I can still see myself at Wimbledon kissing the Cup I realize now that I am playing just because I love the game. Now, whenever I play, I do not think about the glory, I focus on getting better and in that quest have uncovered the many gifts the game I love still has for me. Perhaps it's getting older, perhaps it's being a Life Coach but now every part of Tennis is transformed into a beautiful tapestry in my eyes. One in which the game directly parallels life. Correlations are enough to fill a book. For now instead, let's focus on a single action such as hitting a ball coming to you. There are three distinct steps a player takes and the principles used are just as apt off the court as they are on it. The first is preparation. In tennis that means getting your body into a proper position. One must move the feet, have balance, get the racquet underneath the ball and be ready to strike. To be able to be in the proper position the players spend countless hours training, running, working on every minute detail in order to be prepared. In business and in life it is no different. One must prepare oneself for an opportunity which means getting the body and mind ready for when it does occur. One must have the skills to be able to handle it and long hours go into becoming an expert in anything. Additionally, one must be in the right place at the right time which has much more to do with intention and drive than chance. Once a player is in a position to accept the opportunity that comes his way (ball), the second phase takes place -- focus. In tennis you must watch the ball. 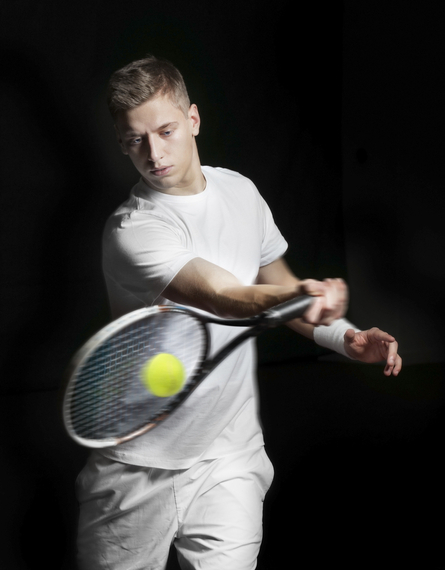 When you are striking you must see the ball on your racquet. You don't worry about what the other player is doing, what part of the court is open, your only concern is hitting the ball. The only way to do that properly is to be completely focused on the ball itself. While "keep your eye on the ball" is a part of our vernacular, it isn't easily applied. We are too distracted in our journeys. It has become hard to focus on the task at hand when we feel multitasking is the only accepted norm. We worry about the past, we feel anxious about the future whereas focus's permanent home will forever remain in the present. Unless we allow ourselves the freedom to completely focus on the task at hand, our opportunity will pass us by. The final step in hitting the ball is follow through. Even if you are in the right position to hit the ball, focus on it as you are hitting it but don't finish the motion the ball is likely to go out. This last part ads topspin (usually), makes it more difficult to handle for the opponent and increases the prospect of your success. In life we too use the term "follow through" and must take great care to finish what we start. That, specifically, is an area I personally have to pay attention to. I am a great starter but tend to get bored or lost in the minutiae and let things slide. We must realize that no opportunity will come to fruition if we don't follow through on it. Thus, one simple motion such as hitting a tennis ball which takes a few seconds on a tennis court presents us with enough wisdom to practice for a lifetime. Most of us may not end up on television watched by millions of fans at Wrigley Field or Wimbledon but we can continue to use the lessons our favorite sports have enriched us with. Being prepared, having focus and following through are just a few of the lessons that I am working on right now. So live your life as a sport and use it to teach you all about life. 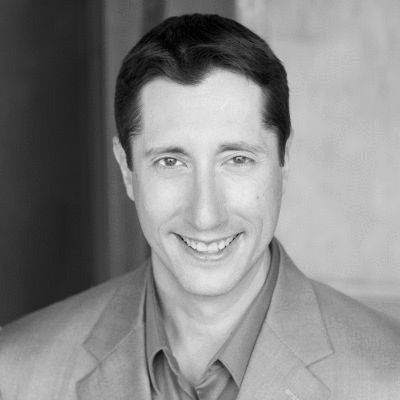 Allen Vaysberg is a Recalibration Expert and creator of the SEAMLESS method who facilitates people's transition from unfulfilled and stressed to doing what they love and being at peace. He speaks on life purpose, career change, work-life balance and the recalibration process and runs online programs helping people re-calibrate their lives. For more information and practical inspiration visit www.allenvaysberg.com and www.seamlessmethod.com.